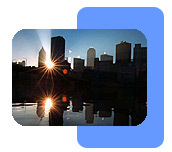 Presenting Pittsburgh is the one comprehensive source for all of your relocation needs. Whether you are recruiting locally, nationally or internationally, Presenting Pittsburgh can provide the quality of life information that showcase the region as an affordable and fun place to live, work and play. Our services are designed to provide the competitive edge that businesses need when attracting top talent. Presenting Pittsburgh has assisted more than 60 corporations improve their recruiting results and directly impacted the decision making process for thousands of recruits or transfers to the Pittsburgh region. Presenting Pittsburgh has provided cross-cultural training and daily living presentations to international transfers from Australia, Brazil, Canada, China, Czech Republic, France, Germany, Holland, India, Italy, New Zealand, United Kingdom and Japan. Presenting Pittsburgh continues to be a sought after resource for corporations looking to strengthen and improve their recruiting programs. Presenting Pittsburgh has been featured in The Pittsburgh Business Times, Pittsburgh Magazine, TEQ Magazine, IN Pittsburgh Newsweekly, City Paper and on the WQED television show ON-Q. Presenting Pittsburgh is a member of the following organizations: Greater Pittsburgh Convention and Visitors Bureau, Pittsburgh Technology Council, Pittsburgh Human Resource Association, Greater Pittsburgh Chamber of Commerce and Human Resource Professionals.